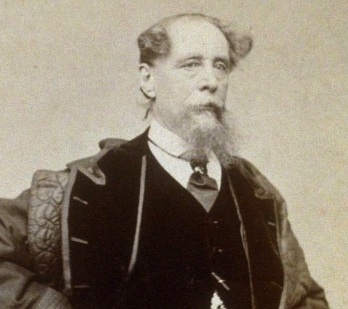 By the time he was 29 years old, Charles Dickens was a wildly popular author in his native England as well as the United States. He’d already published Oliver Twist and Nicholas Nickleby, among other novels, poems, and plays. 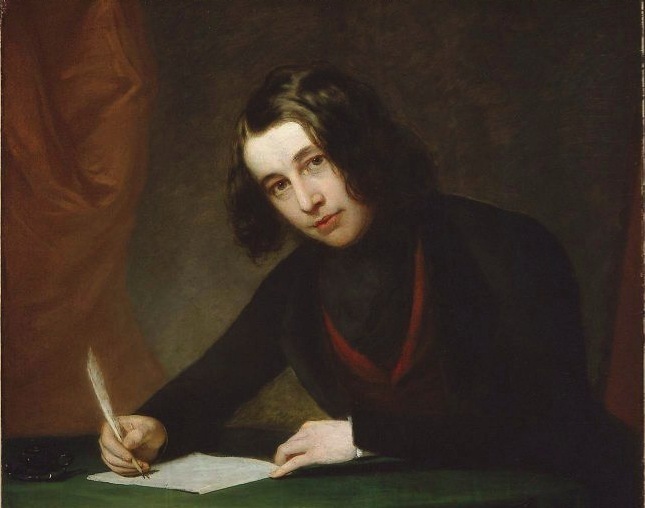 So in January 1842, he did what any best-selling writer would do: he went on tour, sailing to America to visit the young country and make a stop in the teeming city of New York. Unfortunately, he was less than impressed. The tour “quickly degenerated into an experience of mutual disdain and recriminations,” explains a New York Times article. In New York, he dined at Delmonico’s, visited alms houses and lunatic asylums, checked out the infamous Tombs prison and amusement garden Niblo’s, and hung out at a dance hall called Almack’s popular with the city’s black population. 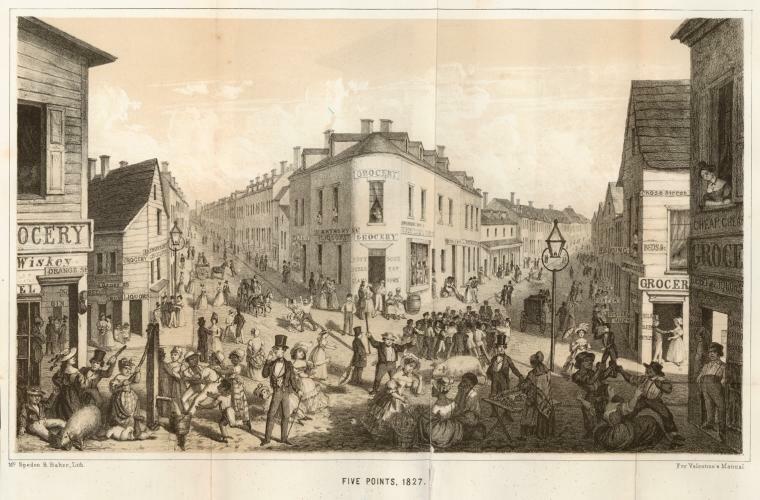 He was shocked by the poverty he encountered in the notorious Five Points neighborhood, which he considered to be worse than London’s East End. “This is the place: these narrow ways, diverging to the right and left, and reeking everywhere with dirt and filth,” Dickens wrote in American Notes, which recounted his trip. 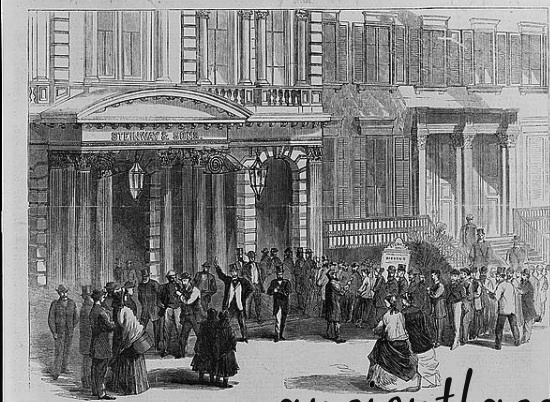 Despite his disillusionment, Dickens returned to New York in 1868 to give a series of lectures at Steinway Hall on 14th Street. He was treated like a rock star (lecture tickets were tough to get, as the sketch above shows) and came away with a positive view of the city and country. It sounds like a desperately poor place in Appalachia. But news articles from the early 1900s refer to a pocket of the Lower East Side as Poverty Hollow. “Poverty Hollow, down by the East River, has a mayor and a cabinet to settle all disputes,” states a New York Times headline from 1910. 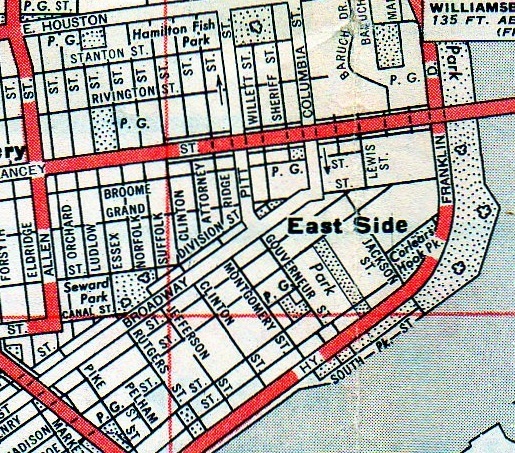 The article, about the small-time thugs who appointed themselves in charge of the area, put Poverty Hollow’s boundaries in kind of a triangle formed by Corlears Hook Park, Clinton Street, and Delancey Street. I’m not sure when the Poverty Hollow moniker fell out of use. 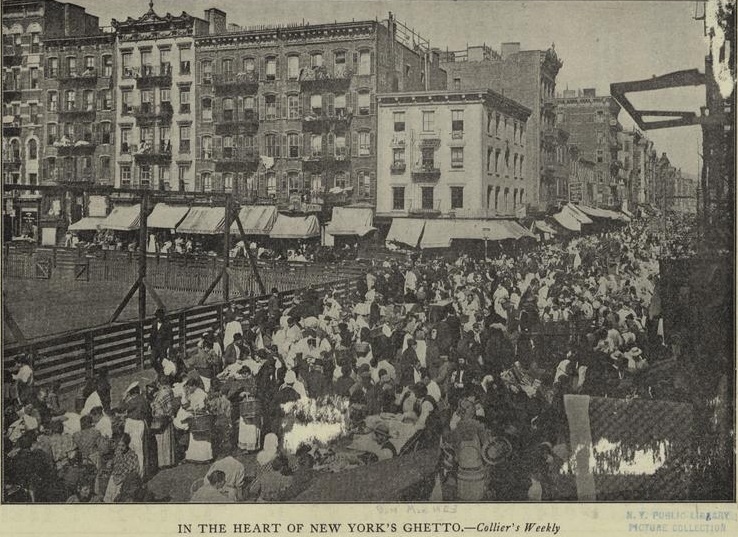 At the same time the area was also known as “The Ghetto,” thanks to all the Jewish immigrants (in the above 1903 photo, from the NYPL Digital Collection). But at some point, both names were swallowed up by the all-encompassing Lower East Side.